It's the ongoing work of a 21st Century classroom teacher to find ways to engage students by turning them into contributors. 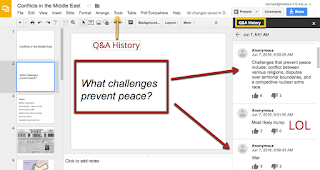 Google Slides Q&A is one of those tools that adds efficiency to the learning process without adding more preparation time to an already overloaded schedule. It only took the second try for my students to embrace this way of working. The best part is how easy it is to put the question on the screen. If you haven't tried it, don't wait. I recommend setting the big screen as a second monitor (extension of your screen). This allows you to have the questions and speakers notes on the monitor visible to the speaker. Here are handful of activities I've tried. 1. Ask questions to clarify terminology. Depth can be achieved when learners have the opportunity to ask questions. The slide below was completed after a period of practice on Quizlet. Another way this could used is if you have learners group some of the terms based on themes. 2. Backchannel questions and comments. 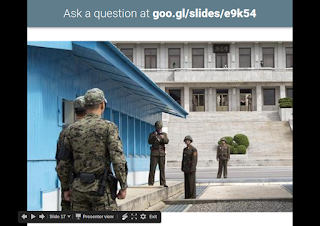 During a video, ask your students to share their questions as the video plays. Instruct them to listen and synthesize as much of the main ideas as possible without initially worrying much about the details. 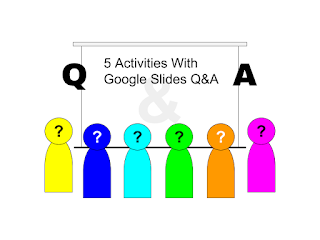 If they participate properly, they will all have questions. 3. Engage learners through inquiry. Present an image, for example, and ask learners to write the questions about the image that they want answered. This could collect responses for the "want to know" column of a KWL chart. Participation in making a classroom KWL chart increases when individuals write their own before sharing with the class. The other day, for example, I asked my kids to write down the K and W in there notes. Maybe five students did it. I asked them to contribute to the Q&A stream, and three times as many contributed. All were reading and many of the ones who didn't contribute content used the voting buttons. The content was still written on a piece of chart paper and left on the classroom wall (a flat screen would be better), but it was created with more engagement and in less time than any other KWL we had done. My favorite part: The quiet students who often do not feel like being heard can have a say in what happens. This is especially true since the anonymous option was added. The Q&A can go the other direction, as it often does in a classroom. The benefits of having the online response includes the conditions for quieter students to respond. Additionally, quiet time for all means fewer thought interruptions, and voting on peer responses exercises evaluation. 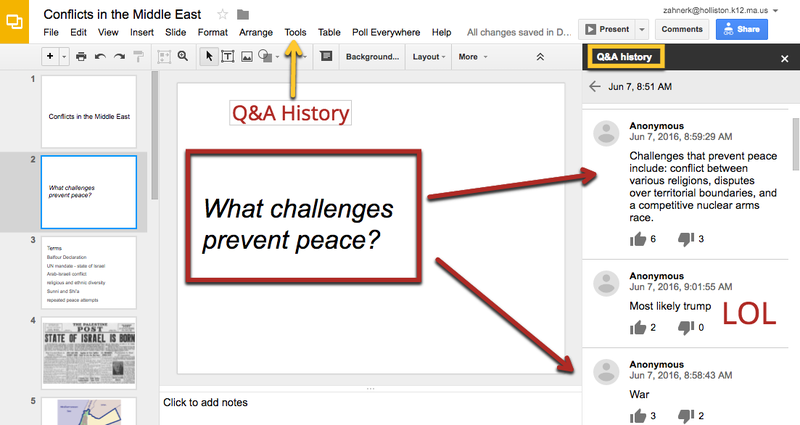 If you need to access the Q&A history, no worries. The "Tools" dropdown has a Q&A history. 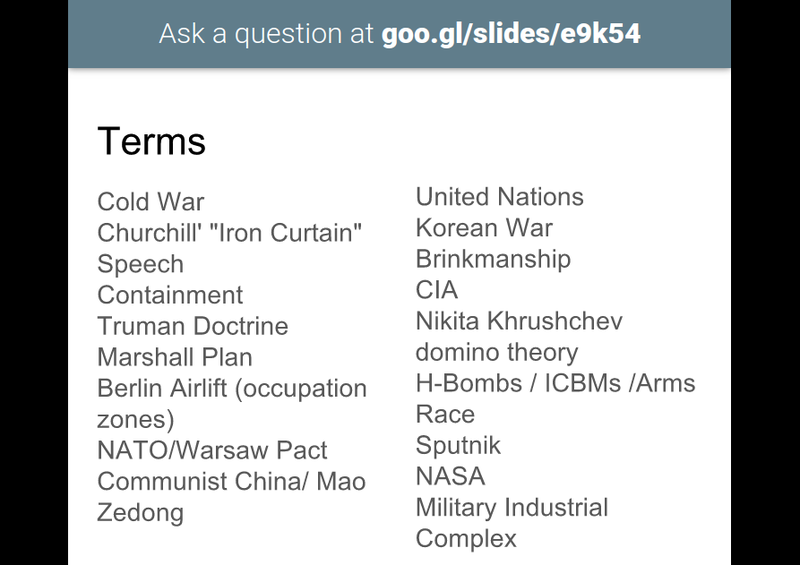 This image shows the history from a recent warmup that collected responses to an essential question. I know you do well programming homework. Please do my programming homework for me. If your friend does not do your homework, you can depend on online site. you will get help it’s right. Thanks for this article. I have just been using the questions feature on slides as a way of gathering feedback and opinion on some staff development i delivered. I though I had lost all the info until I read how you can find the history in tools. A real help. By the way the staff gave plenty of feedback through this function, it's not just good for the kids!